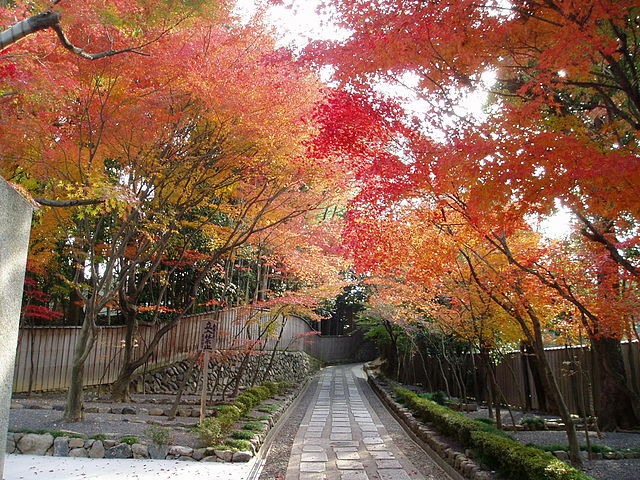 ​Tofukuji is a large temple complex in southeastern Kyoto with many small and beautiful gardens nearby. 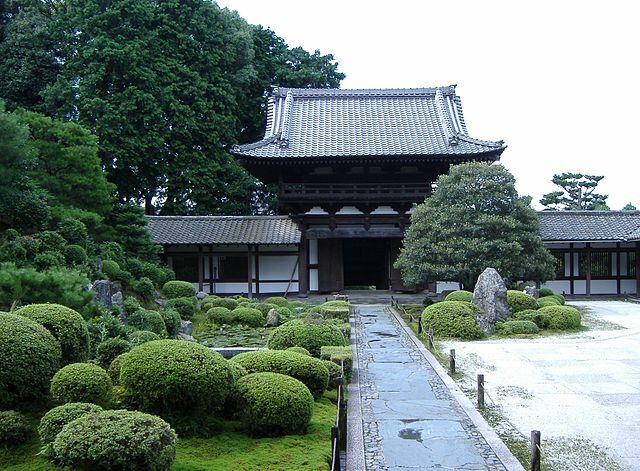 It has historically been one of the principal Zen temples in Kyoto, and is a head temple of one of the schools of the Rinzai sect of Zen Buddhism. Tofukuji Temple was first built in 1236 by the great statesman Kujo Michiie who, for the sake of his family prestige, wanted to build a major temple to rival the great temples of Nara: Todaiji and Kofukuji, where its name is derived from the "To" of Todaji and Kofukuji’s "Fukuji". Currently, the Tofukuji complex includes 24 sub-temples, though in the past the number has been as high as 53. Several parts of the temple grounds are free to enter, including the area around some of its largest and most impressive buildings. 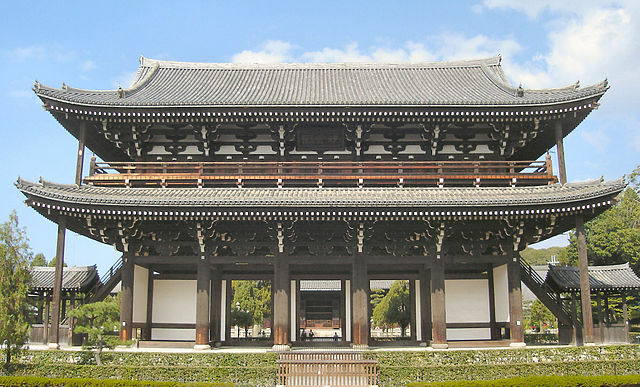 The 22 meter tall Tofukuji's main gate is the oldest Sanmon in Japan, dating back to 1425. It is two stories high and five bays wide. The central three bays are doors. Behind the gate is the Hondo "main hall", which is even larger but is a recent structure dating from 1934. 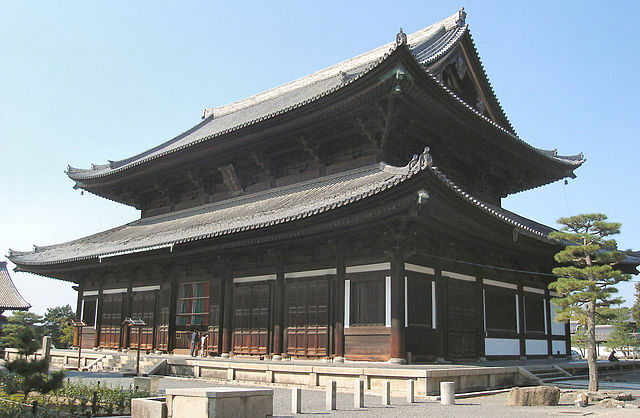 ​The Hojo, the head priest's former living quarters, is one of the temple complex two paid areas. 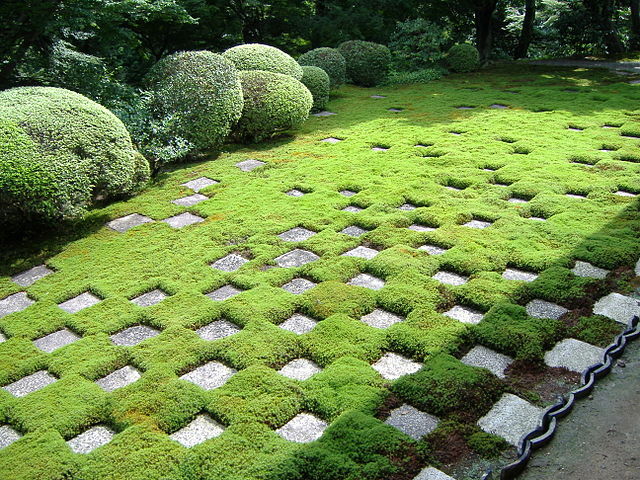 The garden that surrounds the Hojo is divided into four small gardens, and each garden has a different character, employing pebbles, large rocks, moss, trees and checkered patterns. Not far from the Hojo is a roofed wooden walkway that leads to Tsutenkyo Bridge over the ravine and then on to the Kaisando Hall which serves as the mausoleum of the temple's first head priest. ​Here you can enjoy another garden with a traditional arrangement of rocks, moss and bushes on one side of the path, and a raked sand checkerboard design on the other. 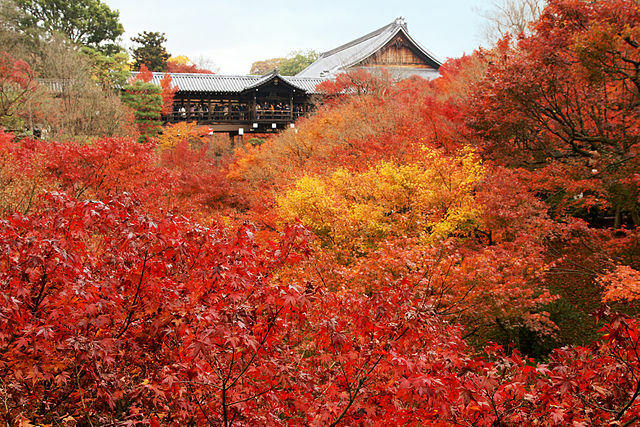 Hordes of Japanese tourists visit Tofukuji Temple during the fall months, when the leaves show a dazzling array of colors, but it's not as well known to foreigners. The most popular view is of the Tsutenkyo Bridge, which spans a valley of lush maple trees, particularly in mid-November when the maple leaves are at their most exuberant. Around this time however, the temple gets very crowded and there are very long queues to visit the Kaisando and Tsutenkyo Bridge. It is best to visit in the early morning hours if you’d like to avoid the crowds. A pleasant side path through the woods connects Tofukuji Temple to the Fushimi Inari grounds. By Train: From Kyoto Station take JR Nara Line to Tofukuji Station "take 2 minutes". Tofukuji Temple is a ten minutes’ walk from Tofukuji Station. By Bus: From Kyoto Station take Kyoto City Bus 208 to Tofukuji Bus Stop "takes about 15 minutes". The temple is a ten minutes’ walk from the bus stop.